Enhancing Your Landscape in the Winter - Legends Landscape Supply Inc. Your property deserves to be enjoyed throughout the year, especially after all the hard work, planning and dedication that has contributed to the beauty and functionality of your landscaping. There are several things that you can do to ensure that your landscape is utilized and enjoyed all year round, even when it’s covered in blankets of pristine snow. Planning the perfect landscaping for your home is a delicate and strategic process. With help from the experts at Legends Landscape, you can ensure that your property is enjoyable and functional throughout the year. Contact our team of landscape specialists today to explore landscape planning and begin your landscape project! The right planning and maintenance can result in a landscape project that is used 365 days a year. Contact Legends Landscape today to learn more about landscape upkeep in the winter. Even an outdoor fireplace, fire table or fire pit can provide you with an opportunity to enjoy the beauty of your backyard in the winter, comfortably. A functional and safe backyard landscape project can provide a great area for children to play in the winter, while you’re cooking food or enjoying the fire. Spending time outside, in the winter, can be even more enjoyable with the right enhancements and accessories. Creating the perfect backyard winter atmosphere can entice you to play outside with children, spend time in the hot tub, or participate in winter activities. Exterior lighting can improve the functionality of your winter wonderland, while enhancing safety at night. 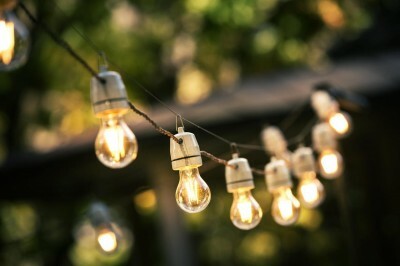 Create an enjoyable atmosphere by adding twinkle lights throughout your property. Do-it-yourself (DIY) outdoor decorations can truly complete the appearance of your backyard in the winter. You can create gorgeous wreaths and festive planters with pine branches, pinecones, dried cranberry decorations, and ornaments. You can even sprinkle these decorations throughout your property for a jaw-dropping contrast against the white snow. Find a style that fits your personal needs and wants, then get creative! Your landscape can be enhanced and accessorised in countless ways to create the perfect atmosphere! To get started with your next landscaping project, or to learn more about upkeep for your landscaping, contact us today. Our specialists at Legends Landscape can help you complete your landscaping project with a variety of services and solutions. Written on Tuesday, January 31, 2017.